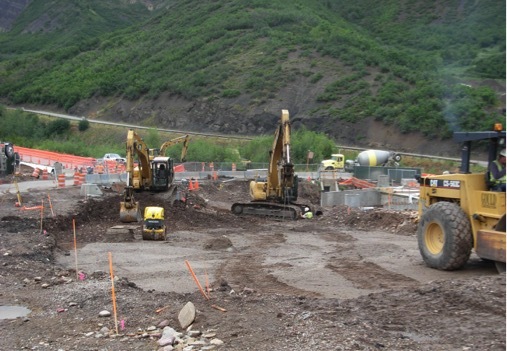 This project included excavation, site work and utilities for snowmelt roadway. Coordination, schedule and confined work areas made production tough at this site however; it was achieved under budget. During construction, access was to remain open to all other contractors and the public. Multiple detours and temporary roadways determined the sequencing of this project as well as allowed successful mountain festivals to occur simultaneously with construction. This project also dealt with unexpected ground water and poor soil conditions.